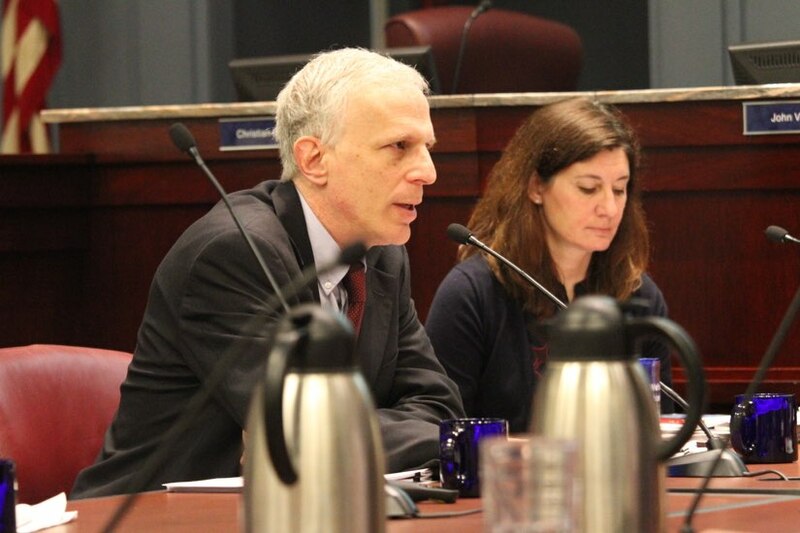 Arlington leaders are doling out raises for County Manager Mark Schwartz and several other senior county employees. The County Board signed off on modest pay hikes for Schwartz, County Attorney Steve MacIsaac, County Auditor Chris Horton and County Board Clerk Kendra Jacobs at its meeting Tuesday (Jan. 29). Each one scored 3.25 percent pay bumps on their previous contracts, matching raises the Board handed out last year to the group. All four report directly to county lawmakers. Schwartz, the top executive in the county government, now stands to pull in just under $262,000 next year. This raise marks the third one he’s earned from the Board since he was hired as permanent county manager in 2016, when he started out with an annual salary of $245,000. His predecessor as manager, Barbara Donnellan, reached a top salary of about $270,000 a year by the end of her five-year tenure. MacIsaac now pulls in about $253,000 per year, his tenth salary bump since taking over as the county’s top lawyer in 2000. Horton now makes nearly $143,000, earning his second raise since joining the county in 2016. Jacobs now makes just over $108,000 annually, with the pay bump coming just a few months after the Board hired her to manage meeting materials this past July. The good news for these county employees, most of whom rank among the highest-paid in the county workforce, comes as Schwartz is warning of some potential bad news for other county workers. He’s already ordered a hiring “slowdown” to cope with the county’s dire fiscal picture, and has warned layoffs could be in the forecast (alongside tax increases and service cuts) to close a large budget gap in the new fiscal year.